It’s not just a change of names and grades that has made the Normandy 7th and 8th grade center a calmer place this year. What used to be Normandy Middle School now has just two grades, with sixth graders returning to the district’s elementary schools. At a community forum held at the school Wednesday night, the consensus was that a school that had been in the news last year for a host of disciplinary problems has calmed down a lot. First, he said, the school’s 415 students were divided into four groups, what he called academies. The first included students who were doing well academically but may have been lost in the shuffle and overshadowed by their peers. “These students are really doing just fabulously this year,” he said in an interview. The next two groups were separate academies of seventh graders and eighth graders, meeting on separate floors of the school to help give them a sense of pride. “Students want their team to succeed,” Miller said, adding that the school is giving them a double dose of reading instruction. The final group is made of up of students in both grades “who needed something extra to be successful,” Miller said. 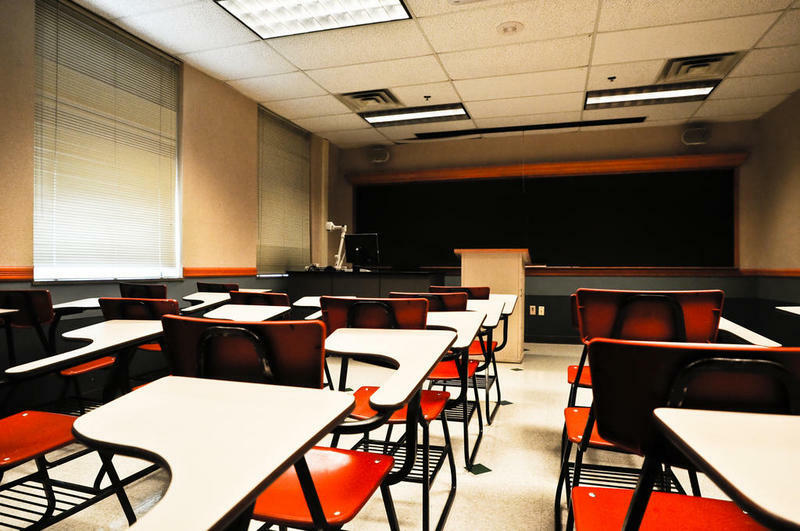 “These were students who were having issues behaving in class and meeting the expectations of teachers and principals.” He said with smaller class sizes and strong teachers, the students get more individual attention. And, Miller added, one more policy change has made a big difference. 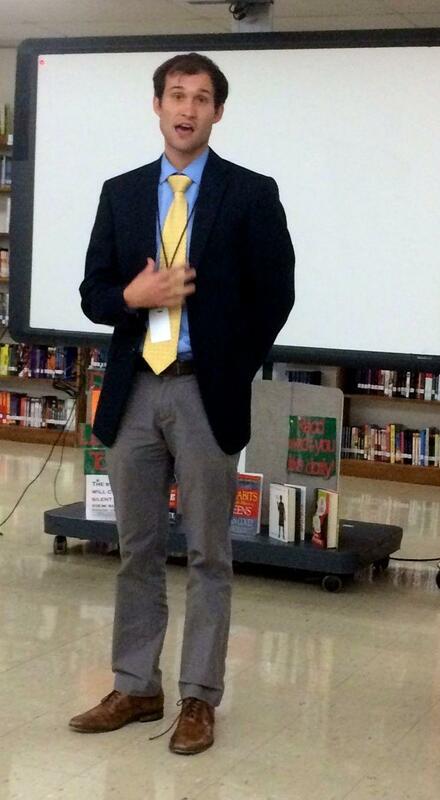 Andrew Miller is principal of Normandy's center for 7th and 8th grades. He said banning cell phones has made a world of difference. “We have taken a very strong stance against cell phones,” he said. “There have been multiple studies that cell phones damage students’ learning. They distract learning. So from day one, we put a strong policy in place that students are not allowed to ever have cell phones on them in the building. The changes were all part of a makeover that Miller said was clearly needed after last year. “Some of the things that we saw last year,” he said, “with teacher turnover, teacher morale and student morale, were not where we wanted it to be. So we knew that if we were going to really turn the school around, we wanted to make it a place where teachers wanted to come, parents wanted to come, students wanted to come. 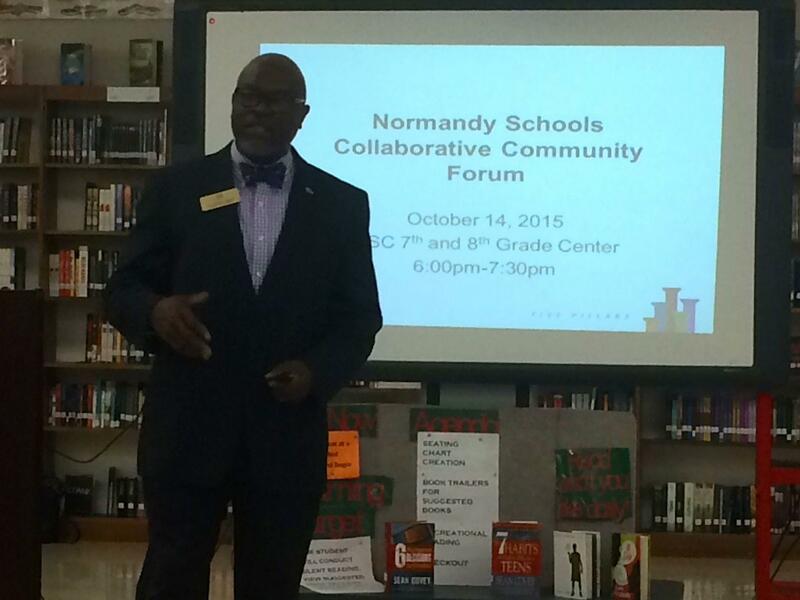 At the forum, Superintendent Charles Pearson asked those present – a few dozen people gathered at eight tables, including a number of Normandy staff members – to come up with ways to help the entire district improve. Answers ranged from more parental involvement to a stronger sense of pride in the district. Greg Robinson is a Normandy graduate with two children who went through the district and has another now in third grade. He said that people who are unhappy with the schools have to stop blaming others and take more responsibility for improving conditions. “Stop trying to blame administrators,” he said. “Administrators, do what you have to do as administrators. Teachers, do what you have to do as teachers. Me as a parent, I’m going to do what I need to do as a parent, not just for my own child but for any child I come in contact with. Pearson noted that one big change that could help would be increased attendance. 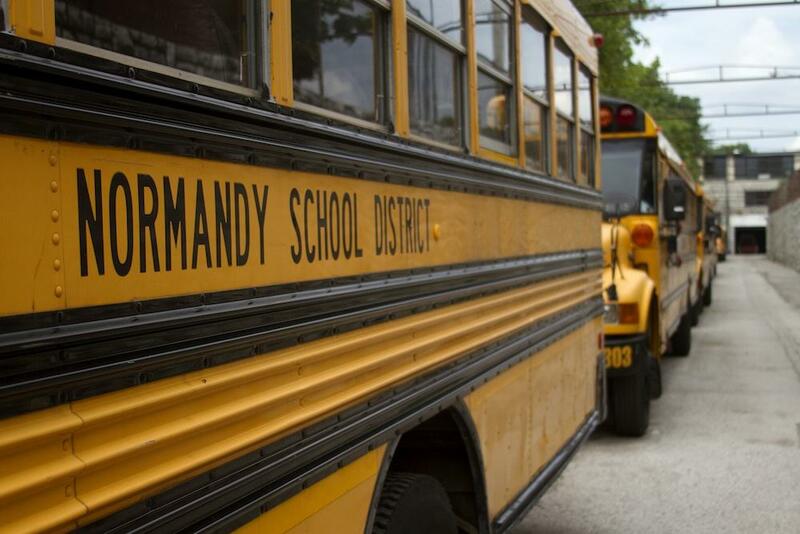 On the state report card for Normandy, which will be made public next week, 10 points are awarded to districts that have 90 percent of their students attend school 90 percent of the time. She said the district is looking at various incentives for students, teachers and schools to boost attendance, including movie days, dress down days, extra recess and gift cards for teachers. Lost learning time often means lost potential. That’s the message from a new national report from nonprofits Attendance Works and Healthy Schools Campaign. This story is part four of Accounted For, an ongoing project of St. Louis Public Radio that explores the connection between chronic absenteeism -- defined as missing three and a half weeks or more of school -- and classroom success.